Sparkloft Media had a good Super Bowl. Pats 13 Rams 3 may have been a snore for the neutral fan but the Portland-based digital agency was hyped, cranking out tweets for 10 days straight and getting paid. 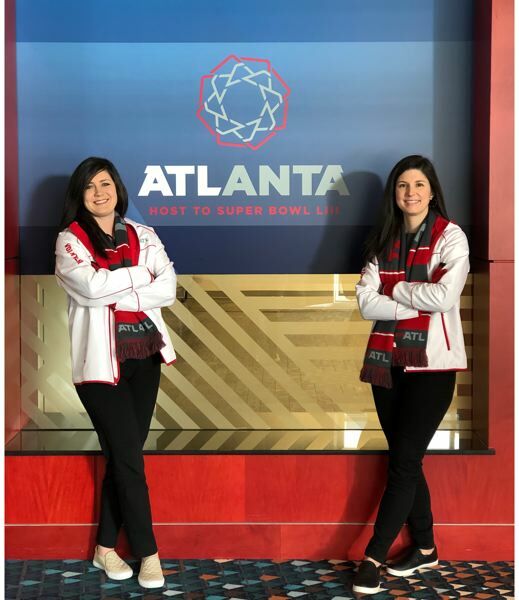 Sparkloft managed the official Atlanta Super Bowl Host Committee Social Media Command Center at the Georgia World Congress Center, a five-minute walk from Mercedes Benz Stadium where the football game was held. 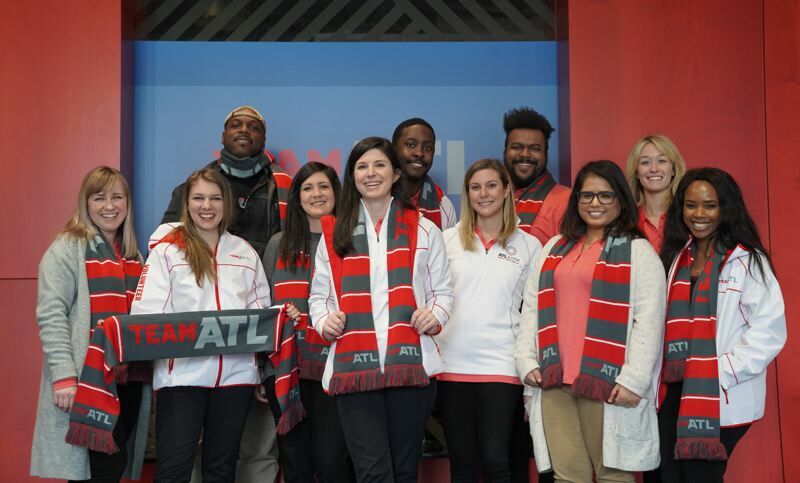 Sparkloft was hired by the Atlanta Super Bowl Host Committee, and the job was to monitor traffic relating to the experience of visiting Atlanta for the Super Bowl. The contract wasn't with the National Football League, although the NFL did have to approve almost everything they put out. @atlsuperbowl53 was the account and #SBLIII their go-to tag. For instance, they dealt with Twitter, Instagram and Facebook comments about getting around Atlanta. Many people head to the Super Bowl city without game tickets just to be tourists and take in the pre-match festivities in fan zones. Sparkloft was dealing with their queries about trains and freeways, backpacks, stadium access and traffic. "Our objective was to make sure people in town for the Super Bowl have best possible experience," Martin Stoll, CEO of Sparkloft told the Business Tribune on Wednesday after returning to Portland. "That falls into content we provide proactively — such as about the lineup of events — and reactively, that is looking at the questions people are asking and responding." They used a listening algorithm to find comments about things such as safety and transportation. "We monitored all conversation around the NFL and Super Bowl but didn't chime in unless it was related to the areas we were tasked with." For instance, they knew if everyone was talking about a bad call they wouldn't respond, but if it was about which entrance to use for the stadium they would. The company is headquartered in Portland but has a 12-person office in Atlanta and another in Washington D.C. A maximum of 20 staff worked at different times, supplemented by local volunteers who were skilled in social media at companies such as Arby's and the Weather Channel. Stoll said they didn't use bots to respond to people, they used humans. "Actually, the scenario planning took the most time. We had to think about all the questions that might be asked. We prepared 850 answers and had them approved by the NFL." On game day of they reported to the league hourly. "We thought 'What content can we have ready just in case? It gives rise to a tree of decisions." Sparkloft has done similar work for a NASCAR race in Charlotte and for the HullabaLOU music festival at Churchill Downs, Kentucky, but the Super Bowl was orders of magnitude larger. They got the job by responding to an RFP. What swung it, Stoll thinks, was they already had 12 staff in Atlanta, who worked with the Convention and Visitors Bureau, and "definite know-how in managing social media." They tracked the pregame fun rigorously. There was the Super Bowl Experience Driven by Hyundai at the convention center, where fans could immerse themselves in what it is like to be a footballer. They could see the Lombardi trophy, do a 50-yard dash, or catch a football from a machine and run an obstacle course. 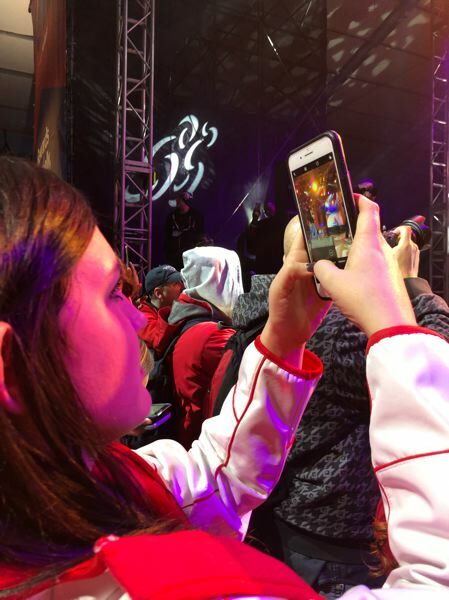 And there was Super Bowl Live a series of sponsor activations, concerts and fan rallies. For the Rams there were cheerleaders and Snoop Dogg rapping. "We'd produce live content and post it minutes later. There was a complex workflow to get things to Instagram and Twitter. The content had to be on brand and tell a cohesive story." In the command center they had a Shift Captain, who made decisions on what goes where; Engagement Specialists, who answered tweets etc. ; and Runners who shoot live content. Stoll compares it to a TV newsroom. "There was a lot of surprise and delight: we'd ID people on social and ask them to meet us and give them some swag, like T shirts and tickets to The Experience. For that you need someone who understands how social media works, and people who understand the zeitgeist and pop culture." At peak traffic they were dealing with 10,000 comments an hour. He disagrees when people say Twitter's not real any more, or not where it's at any more. He has seen massive volumes of real comments. They provided daily reports to the organizers: "Extensive reporting, daily recaps, what people were saying, who are the loudest voices... How many they interacted with, who had a reaction." Sparkloft started as a software company but now uses whatever tools are available, including Spredfast, Sprinkler, Hootsuite, HeyOrca, and the native tools in social platforms. "It depends on how big the client is. It can get very expensive." The agency specializes in social media. This includes "strategy, content marketing, community management, trend reporting, social media co-ops, training and education, social commerce, integrated campaigns and influencer programs." "People think social media happens at the spur of the moment, and underestimate how much planning it takes. Take a football game. What are you going to post at half time? You need a graphic, so you need a graphic designer, with templates ready. It must be witty in the moment but with so much preparation." And, of course, the audience writes the copy. He says the viral half-time tweet "Patriots 3, Rams 0, Maroon 5" fit the bill. "Is it on brand, does it make sure all fans have a good experience?" "We came up with 'Downtown ATL is LIIIt!'" (It's a visual play on the word "lit" meaning exciting, and "LIII" which is 53 in Roman numerals). Social media is growing — with 2.2 billion people on Facebook — so they chase specialists. People in Facebook groups and subreddits are "Geeking out about a subject, it's where they find their tribe. Reddit is real — from a media perspective — it's what's bubbling up. Reddit is the place to be." For all the rumor and disinformation Stoll says "I believe in the power of the crowd." When someone asked a question there were always people in the social media crowd willing to jump in and help. "To have a command center and an official Twitter account, you have an authority. That's where the burden of responsibility lies. There's a gazillion stories, and they expect something like journalism, to be the authority that gets the information." Although they have worked with Travel Oregon (making "tiny food" videos to entice Japanese visitors here) most of Sparkloft's clients are not in Portland. They include Alaska Airlines, South African tourism, tech companies who cannot be named in Seattle, and Brand USA which promotes tourism to the USA. He likes how social media allows consumers to have a conversation with a brand, unlike "in the old days" of print, TV and billboards. Advertising "Is like starting a fire, and social media keeps it going. You need to plan for that. You have to put some money behind it." He laughs when people say "Can you produce a viral for us?' That's not how it works. Stuff that trends from a brand almost always includes a paid component, paid content. Like on Facebook. It also depends on when content is coming out, what's happening on that day. Is it a slow news day? A slow day on the Internet?"